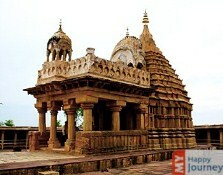 Location: Devi Jagdamba Temple is one of the oldest temples of India and it is positioned to the north of Kandariya Mahadev Temple. 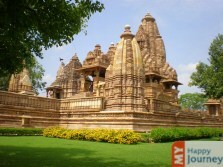 This shrine is considered to be one of the main temples of Khajuraho which served as the capital city of Chandela Empire. 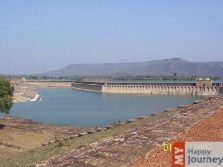 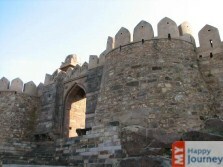 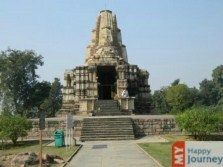 Description: Devi Jagdamba Temple was constructed during the 10th and 11th century. 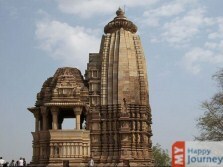 Known as a symbol of trinity, this temple comprises of three different bands. 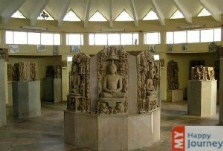 The first band presents great sculptures of Brahma, who is also considered as the creator of this universe. 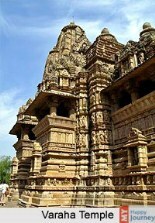 Second or the middle layer has the carvings of lord Shiva who is supposed to be the destroyer of mankind. 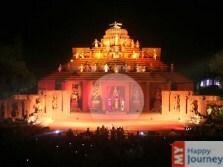 Third band is dedicated to lord Vishnu who is considered the sustainer of the mankind on earth. 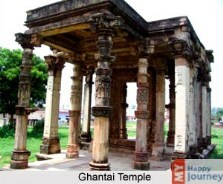 Temple building also houses glorious and grand statues of goddess Parvati, said to be the goddess of the universe. 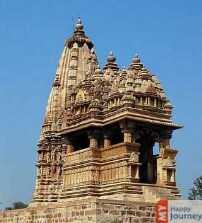 One more prominent feature of this temple is a sculpture of Gemini or Mithuna which portrays a union between amorous couple. 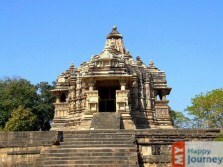 There are other things that can be witnessed here, such as figures of boar or elephant, head of a parrot, mythical beasts having body of a lion etc. 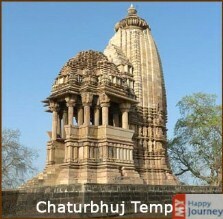 Activities: The temple is an example of the glorious past of the Chandels, besides this it is a beautiful place to visit. 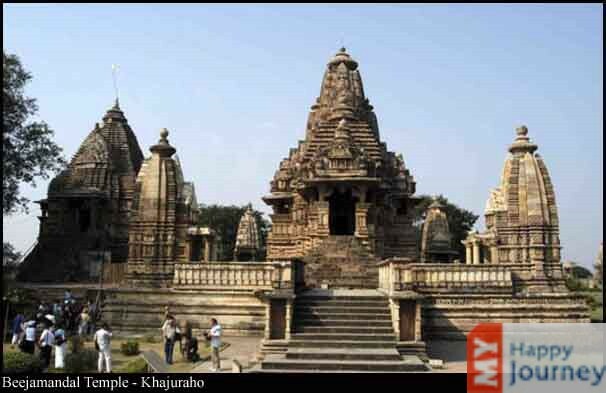 Tourists visit this place to see the beauty of this temple which has not been much affected by time.